We rely on this sleek, powerful note-taker to annotate documents, record lectures, sketch illustrations, and more. 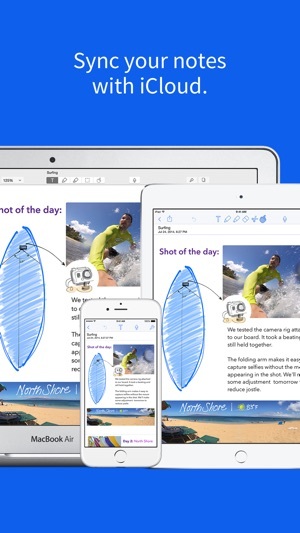 With built-in iCloud support, it’s perfect for keeping notes, documents, and doodles up to date on both iPhone and iPad. Update: So like I said, I use this app for school and it being my senior year, my work load has increased. There is one more thing I wish would be added to this app. On paper you can refer two pages together without much trouble. 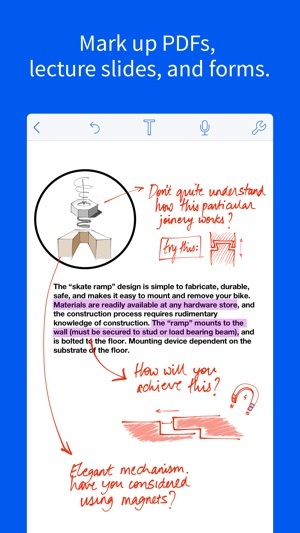 On notability, one thing that aggravates me is when I have an assignment to do, and I can use my notes, I have to flip back and forth, back and forth to my notes and the assignments. It’s time wasted and annoying, if something could be added so that I can have 2 notes side by side together that would make my life so much easier. This app is amazing. Ive been using it for 3 years now and i keep finding out more amazing things. For one, i like to record lectures in class. When i press record and take my own notes, i can play back the recording and watch my notes highlight according to when i wrote it with the audio. It works the other way around too; i can open the audio and press a bulletin that i wrote and the audio will start playing when i wrote that bulletin. It also has palm rest (which needs a little work), inserting pictures, and a search bar. 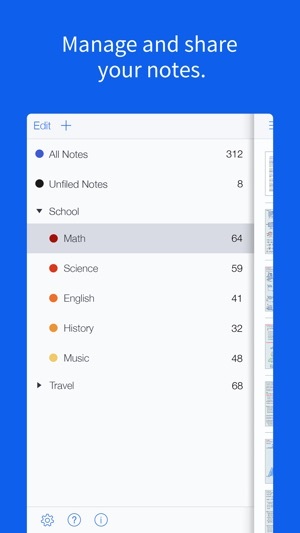 If your teacher writes study guides for the tests, you can search a keyword in the app and watch all the articles pop up that have that word in it. On top of that, I've used this app to draw the nervous system in my physiological and pharmacology classes. This app has made studying easier, funner, and overall better. 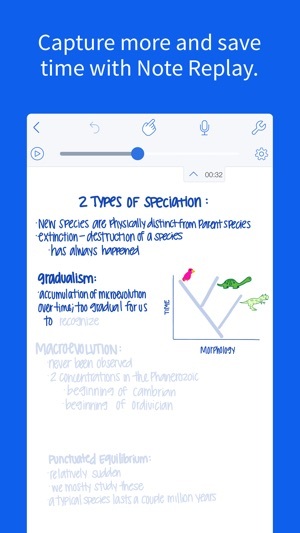 If you have friends with the same app in class, you can share your notes easily including the recording of class. It also links with my phone so if i dont have my ipad and i have some free time out with family/friends, i can reread my notes from my phone. I hope this app holds a lot because im going to be using it for awhile. 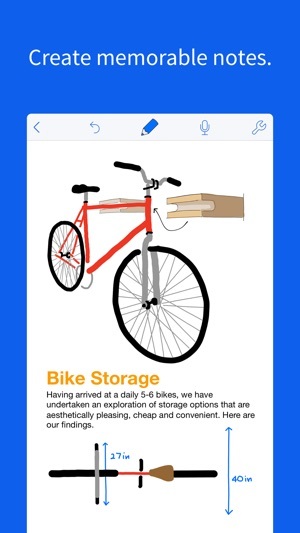 Update: I really hope in the future they can allow handwriting to be searched throughout the app (similar to how notes does it on the iPhone). I prefer to write than type and I can’t search any keywords I write out, the app only searched typed words.